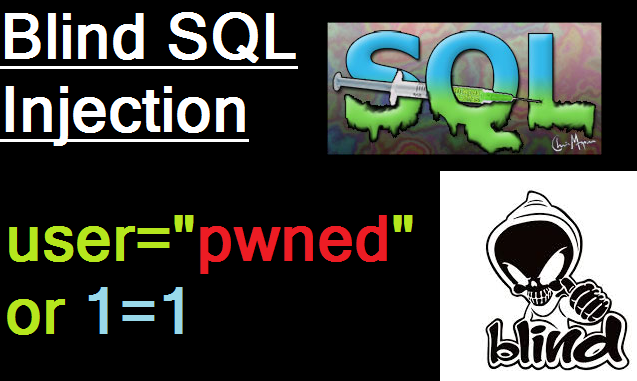 If you've read the above three tutorials, you know the basic theory of what SQL Injection is, you know how to carry it out using you web browser on a vulnerable website, and you know how to use SQLMap to automate some of the process. 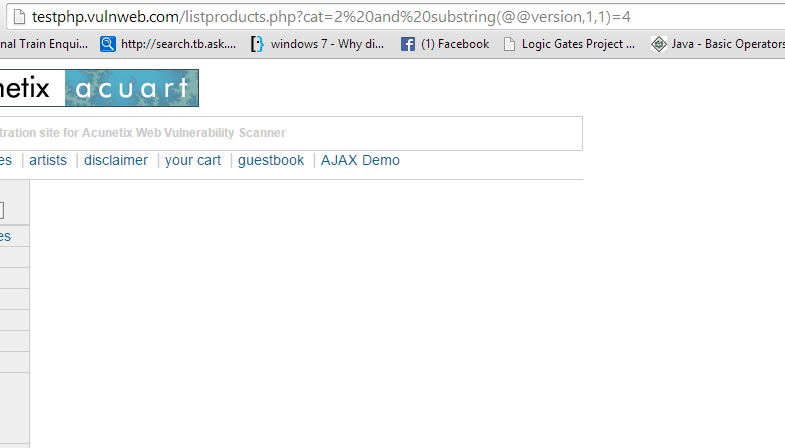 Used the asterisk ( ' ) to verify vulnerability. We then obtained names of tables, their columns, and finally extracted data. However, it is worth noting that the website was intentionally left vulnerable, and most often the flaws in security aren't this obvious. In our case, the website was willingly responding to our queries with errors. This may not always be the case. As long as we can see the errors, we know we're going in the right direction. Errors tend to give us clues. However, some websites may choose to suppress the error messages. This make SQLi harder. This is known as Blind SQL Injection. The purpose of the asterisk ( ' ) was to find out how the server handles bad inputs. If it has some mechanisms for sanitizing or escaping these dangerous characters, then we would not see any error in output. Now this is not intended to be a theoretical post. While the SQL Injections basics post was for total beginners, I am linking a SQL Injection post appropriate for anyone who has carried out the classical SQL Injection attack, which we did in the manual SQL injection attack post, and is ready for blink SQL Injection. PS: The posts in the beginning of the tutorial are mandatory, these are optional reads. You may choose to skip these and come back later and read whenever you're free. Now we'll get started. 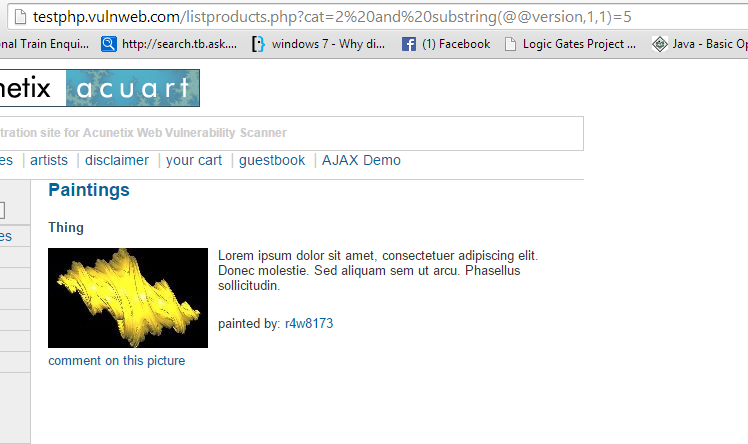 We now have to find a website which is vulnerable to SQL Injection, but does not show error messages. Basically, a site which can be hacked into but not using classical attacks. The site will not give any obvious responses to our attacks. This is why it is called a blind SQL Injection. It is hard to know whether we're doing it right or not. Now the first take is to find out whether the target is vulnerable or not. Ideally, one would add an asterisk to find whether the target is vulnerable to classical injection. If not, then only should he/she proceed to blind SQLi. In our case, the target is indeed vulnerable to classical injection (since we see an error when we append an asterisk ' to the url). But for the sake of learning, we will ignore this fact and proceed with Blind SQLi. We will from now assume that there will be no errors whatsoever to aid our attack. If the site won't return any errors, how can we find out if it's vulnerable? The solution is a pretty elegant one. This attack is based on boolean algebra. It's pretty intuitive and surprisingly simple. Now the basic condition for determining whether the website is vulnerable to injection is to find out whether it executes the code we send it, or just ignores it. Earlier we used asterisk and the error suggested that our code was indeed processed. This time errors are not shown, so we use logic. In the first URL, the condition evaluates as true, and page is displayed as usual. Basically we're asking the table to show the page if it's 'category is 2' and '1 is the same as 1'. Both the conditions are fulfilled and page is shown. In the second case, 'category is 2' but '1 is not the same as 2', so the conditions simplify to false, and nothing is shown. What can we conclude? We conclude that the code we add to the URL is processed by the DBMS software (usually MySQL). Now the process of finding out other details would be identical. We now know that if we type a true statement after and, then the page is displayed, else it's not. We can simply keep guessing stuff till we are right, in which case the condition is true, and page is displayed. However, we don't need to know the exact version. Finding out whether it's MySQL version 4 or 5 is sufficient. For that, we can extract a substring from the version, which in this case, is simply the first character of the version. This can be done using substr(@@version,1,1). @@version returns the whole 5.1.6.9........ thing but 1,1 extracts the first character. We can then equate it with 4 or 5 to find out which version the website is using. PS: I put this screenshot here to explain why we used substring, we didn't use the fact that we know the version of SQL already in any way. Even if you have no clue about the version (which is what is going to happen in real life scenario), you can find out the version by looking at the output of the following URLs. You can read more about Substring clause here. As you might have guessed, the version is 5 since it did not return a blank page. I hope you've started to see the pattern now. We will now have to guess the table names. The idea is to start with some common ones, and you'll most probably get a few tables. Most databases have a table for users, admin, login, employees, etc. Now I'll demonstrate a few failures and successes and then we'll proceed. There is another alternate in which we can go character by character. There is a third method where we can use ASCII codes too. Problem : Since the website does not display output, how do we find out the table names? Solution : We can do what we've been doing so far, ask the website if table name = X , where X is our guess at table name. We will keep repeating until the condition returns true, i.e., the exists a table with the name that we guessed. Solution : We will use the select query. select 1 from X is going to be our query. If there is a table called X, then output will be one. Now we can use this output to generate a condition. (select 1 from X) = 1. If X table exists, then output will be 1. Since 1=1, condition will be true. If X does not exist, condition will be false. Problem : What if we can't guess the table name? Alternate Solution : We can use ASCII values to speed up the above solution. Basically, we can't directly compare characters like number. 6 is greater than 5, but b is not greater than a. Characters can't be compared like that. However, their ASCII forms can, since each alphabet corresponds to a number in ASCII. We can use this fact to ask the table if the first letter of the table name is more than P or less than it. This way, if the table says it's more, we don't have to check the alphabets before P, and Vice Versa. [This is just the concept, I'll demonstrate how it's to be done]. Now, for finding table name, I'll stick to simple guessing. The remaining 2 concepts will be demonstrated while finding column name and data value respectively. Limit Clause : It must be noted that select query returns all the results from a given table, not just the first. For example, if a table has 500 records, and you ask the table for records where first table is 'a', it will return not one, but all the records with first letter 'a'. This is not what we want. To avoid this, we use limit clause. Here is a short summary, read the complete section on Limit clause here. The offset specifies the offset of the first row to return. The offset of the first row is 0, not 1. The count specifies maximum number of rows to return. I've covered all the concepts, now I hope you can read the commands and figure out what they mean. The error message will not be displayed in real blind SQLi. We will see a blank output, like we did earlier. The page loads fine. This means there is indeed a table named users. Now, if you are trying this attack on some other site, then you might not be able to guess the name if it isn't as obvious as users. So I recommend you keep reading and try again once you know how to guess one letter at a time (for column name) and how to use ASCII (for obtaining data). PS: Here limit is not required since we guessed the whole table name at once and not character by character. Now, there are 2 ways to get column name. The first way is to guess the complete column name, as we did for table name. The page displays normally for uname, so we know that a column called uname exists. For practice, you can also replace uname with pass,cc,address,email,name,phone,cart1. All these columns also exist in the table. The second way is to go character by character. There are 2 ways to do this too. One is to guess the character directly, second is to find the range in which the character lies, and then guess it. I'll show both. This method requires information_schema, i.e. it will work for MySQL 5 series but not 4. But it is less than 120 ('x'), since page doesn't display well. You can use the > < = method here too. Everything other than 2 will be the same. Now while what you did so far wasn't very swift either, what you're going to do now is going to be terribly slow. You have to guess the data as well. Each and everything needs to be guessed. Second character is 'e'. You may proceed to do so until you find the complete uname. You can ensure that a character was the last in the word by using the following command. If there is any other character left, >0 will always return true. This was all there is to blind SQL Injection. In the next post I'll introduce you to some tools which do the task for you. To be honest, no one will call you a noob if you use scripts/ tools to automate blind SQLi. It is a really time consuming process and it is not required to waste so much time when you can write a script to do all the guesswork for you. well done explanation, but i'm trying to exploit it just like here, manually, but sometimes it doesn't work, don't know why?